Yo Ho Let’s Go! Are You Ready for a Pirate Play Date? 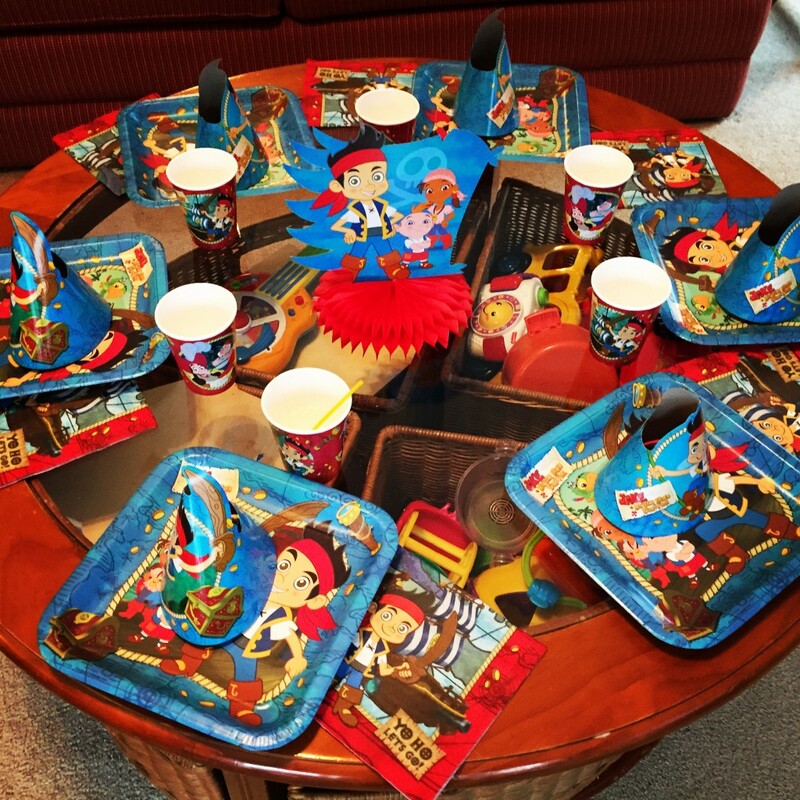 I received free products in order to host a #DisneyKids Jake and the Neverland Pirates Preschool Play Date. The opinions expressed here are my own. Ahoy maties! Thar be adventure ahead! 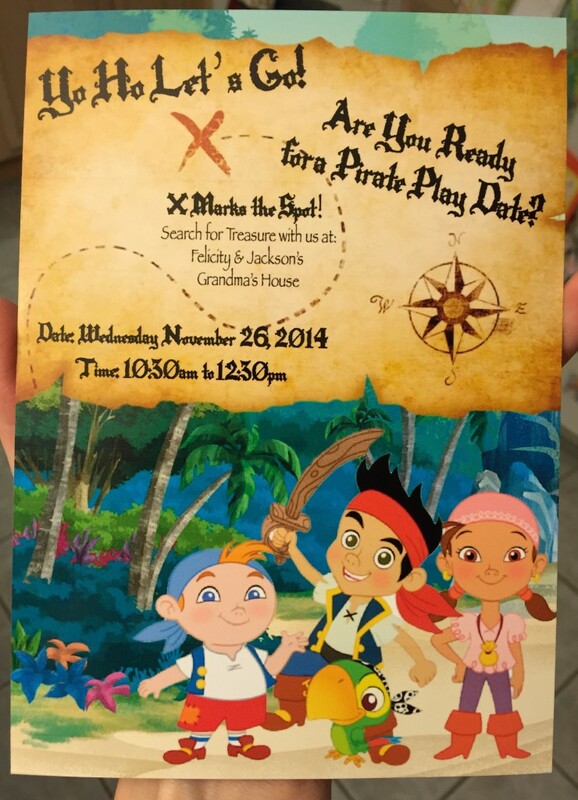 When I received the email invitation to host a #DisneyKids Jake and the Neverland Pirates Preschool Play Date, I was so excited! I’m not sure if you’ve noticed, but my family and I LOVE all things Disney. 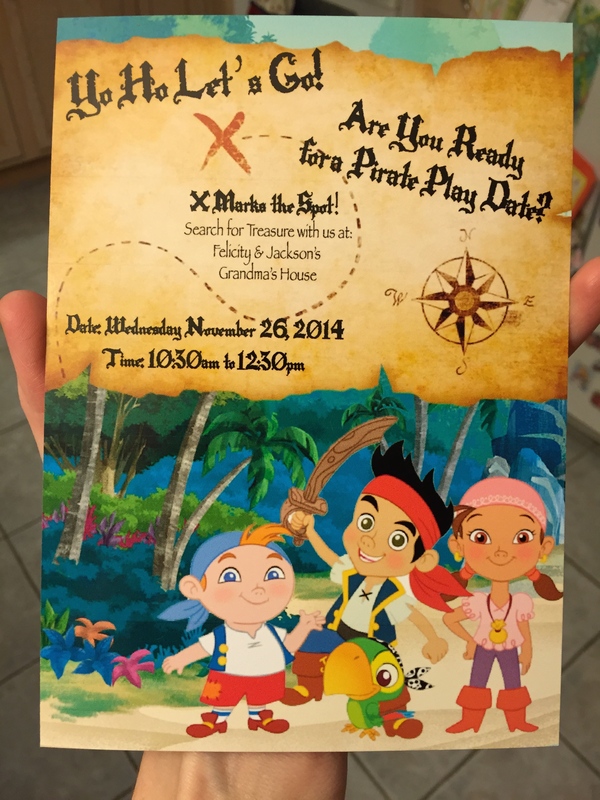 My kids are big fans of Disney Junior and they were more than willing to help me plan a pirate play date for them and their friends. This is the tale of our adventure. Great Munchies: Kellogg’s Super Mario Brothers fruit snacks, Clif Kids ZBAR Protein and Crunchmaster Grammy Snacks – all delicious! 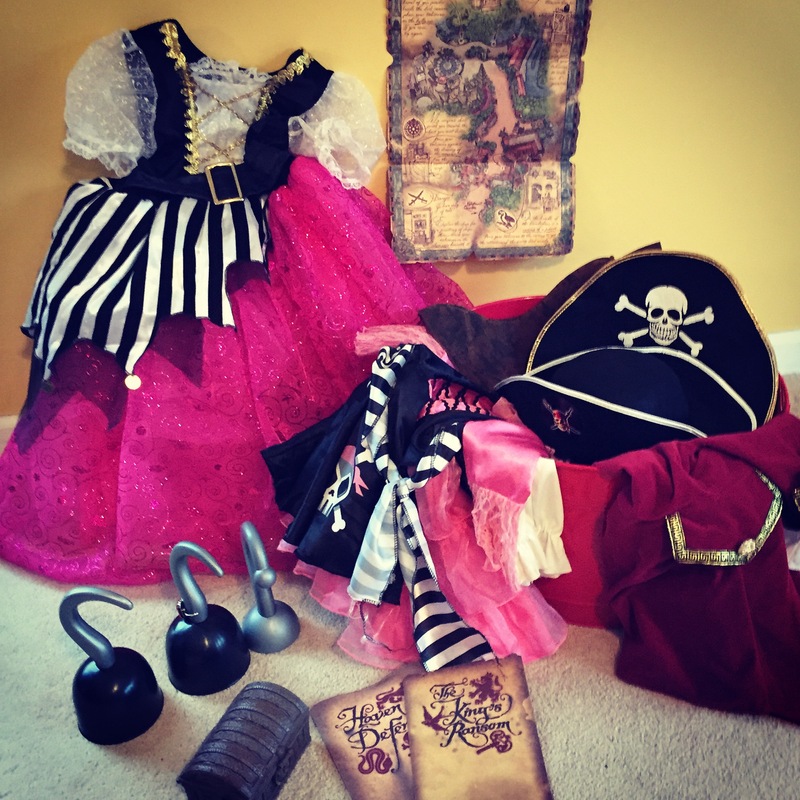 Pirate Loot: What would a pirate play date be without treasure? The kids loved the Gold Doubloon Necklaces, Mini Spy Glasses, Eye Patches, and Bouncy Cannon Balls. Disney Parks Planning DVDs and Luggage Tags: Great for the parents! If you’d like to get your very own planning DVD for FREE and learn more about planning a Disney Vacation, fill out THIS FORM. Cool Extras: An awesome MegaBloks Hot Wheels set, Kinetic Sand and Sandbox, Mickey Mouse Chore Charts, coloring pages, themed games, and balloons. So much fun! I’m a planner. I love lists and organization. My gatherings are usually planned out in detail months in advance. Unfortunately, the past two months have been INSANE in the Smith household. I’m sure many of you can empathize; kids, school, home, pets, work; the list just goes on and on and ON. I even designed and printed super cute invitations that I just never found the time to mail!! Sad, isn’t it? Then, when I finally set the date, invited guests, and had our plan in motion…Elsa went crazy. 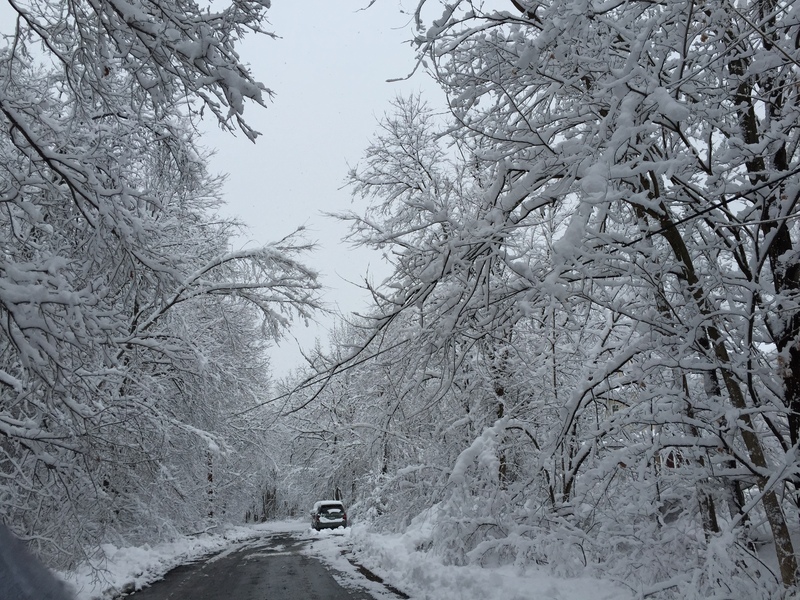 Our small town was covered in nearly a foot of snow and it had to be postponed. While the kids loved it, I panicked. Most of our guests would be away for the holiday weekend and Sunday was the last day I could host this play date. Thankfully, I was able to pull it together and our guests had a great time! It was far from smooth sailing, but what would a pirate adventure be without some waves? I enlisted the help of my 8-year-old daughter and got to work. 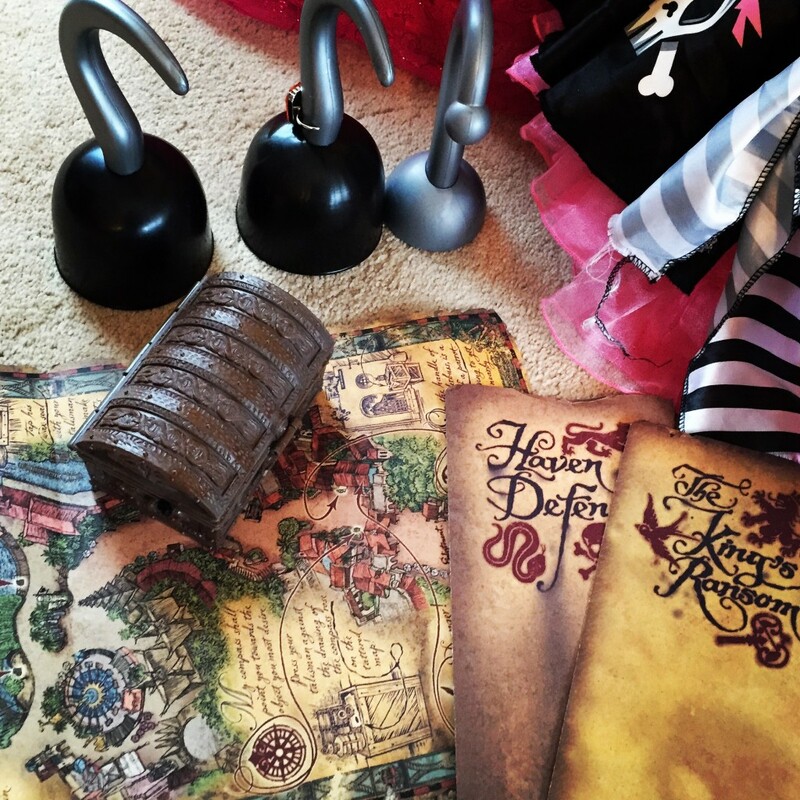 She set up a super cute table where all the guests could visit and snack while I made up an area for Pirate dress-up. My son has a Skull Rock play set and Bucky Pirate Ship with a LOT of Peter Pan and Jake toy figures. The kids all loved dressing as pirates and playing with the toys from the show. They especially loved our Pirate Treasure Maps. During our last trip to Walt Disney World we played an interactive game in Magic Kingdom called ‘A Pirate’s Adventure: Treasures of the Seven Seas.’ We were given a map that led us around Adventureland in search of treasure that Captain Jack Sparrow was trying to find. Once you found the clues and treasure you could continue the game with a new map or be on your way. We played 3 of 5 games and both the kids really enjoyed it. I would definitely recommend trying it out during your next trip! 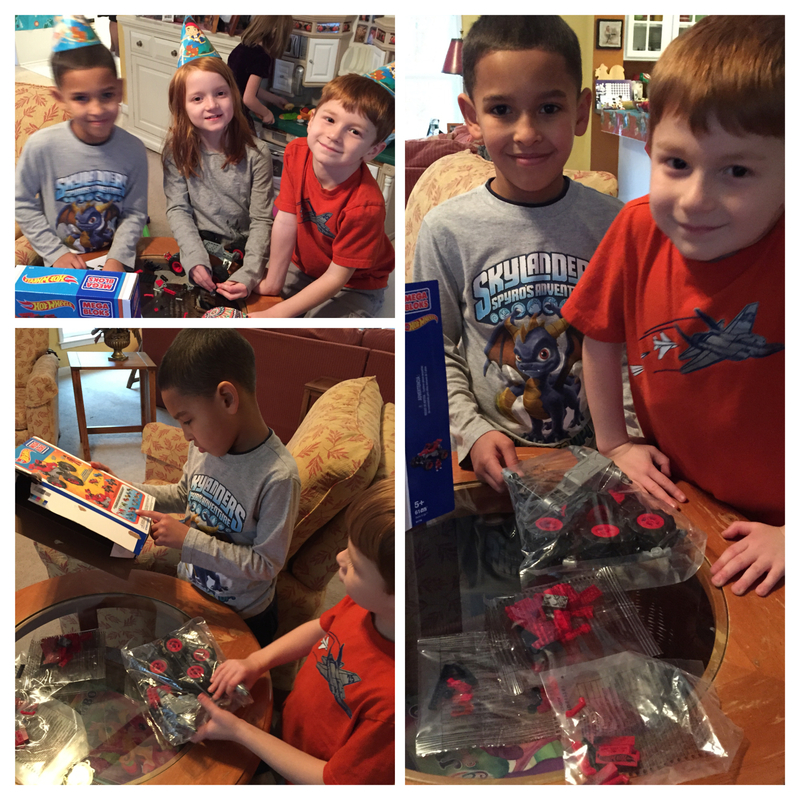 Three of the older kids really had fun putting together the Mega Bloks Hot Wheels car. Although the box said ages 5 and up the two 8-year-olds in the bunch enjoyed this the most. One activity that all the kids loved regardless of their age was the Kinetic Sand. 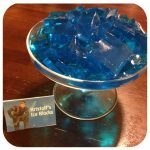 I buried some of the pirate treasure in it and let them go nuts! I think we were all really surprised by the consistency. The sand was very soft, squishy, and moist but not messy at all. It did not stick to our hands or other surfaces and was very easy to clean up. I’m sure I’ll be buying more of it for my kids! Our play date was scheduled from 2:00pm to 4:00pm. This is prime snack time in toddler world. We made sure to have some fun and healthy things to munch on. 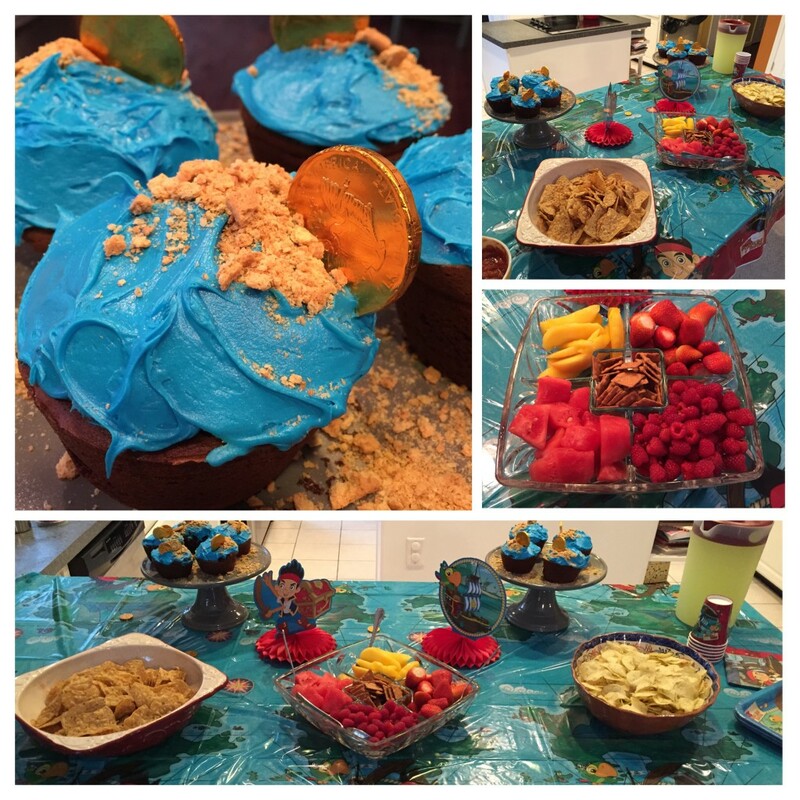 Some highlights were the Gold Doubloon Chocolate Cupcakes (fun), multigrain tortilla chips with salsa and fresh fruit with Crunchmaster Grammy Crisps (healthy). I added the Clif Kids ZBARS Protein, Super Mario Brothers fruit snacks and some other goodies into the kids treat bags. My daughter has loved Clif bars for a while now and was ecstatic when she saw them in our play date box. In hindsight, I should have just let her eat them then because unfortunately they were out of date by the time we had our party. Of course I didn’t realize it until after it was over and everyone had gone home. To all of my guests, I’m sorry! I blame Captain Hook! 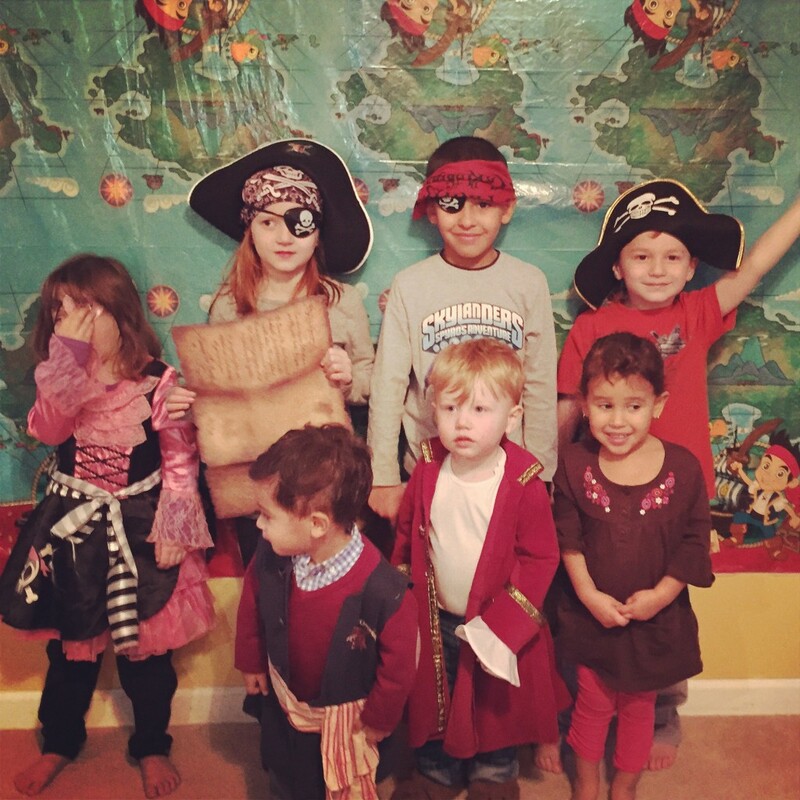 In the end, our Jake and the Neverland Pirates Preschool Play Date was a success! The kids had fun, the snacks were delicious, and it’s always great to spend time with friends and talk Disney. I’m so glad to have been selected as a host and look forward to my next #DisneySide party! MouseQuest would like to thank BSM Media, Mom Select, Disney Parks, and products sponsored by MegaBloks, Clif Kids and Kellogg’s for all of our amazing party snacks and supplies! 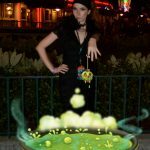 If you’re looking for ideas to host a #DisneySide Celebration of your own, be sure to visit them on the web for amazing ideas! Episode 107: Showing our #DisneySide!